Aloha’s new protein drinks range. Credit: Aloha. 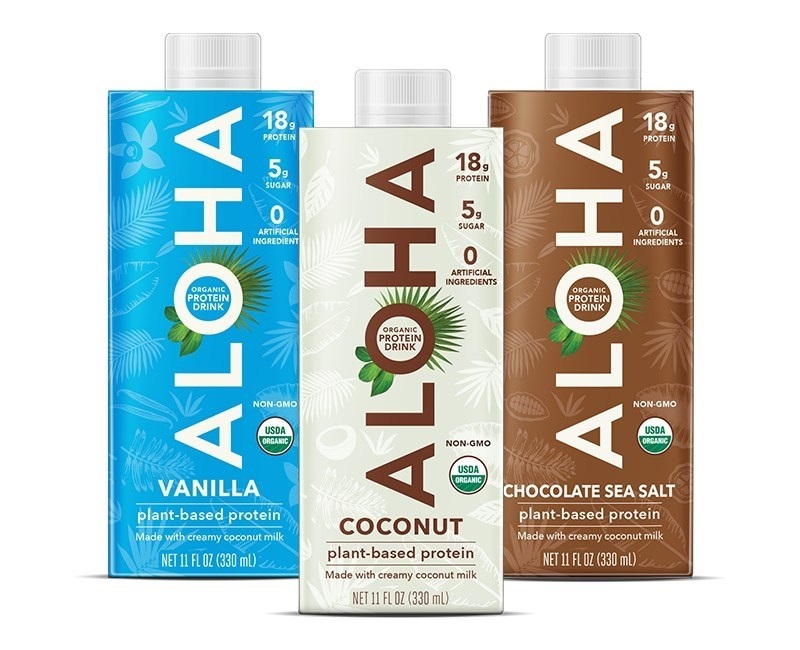 Aloha has launched a low-sugar protein drinks range in the US market. The new line is available in Chocolate Sea Salt, Coconut and Vanilla variants. Each beverage provides 18g of protein and 5g of sugar. The beverage’s coconut base provides electrolytes, prebiotics and medium-chain triglyceride (MCT) oil. This is combined with a proprietary blend of pea and brown rice proteins. The drinks are vegan, gluten-free and low-carb, making them suitable for the keto diet. Similarly to Aloha’s plant-based protein bars and powders, the beverages are certified organic by the US Department of Agriculture (USDA) and free from soy, dairy and stevia. Charron further added: “At Aloha, our mission and only focus is to craft real plant-based food that tastes delicious and has nourishing ingredients. People shouldn’t have to sacrifice taste or the quality of ingredients they’re putting into their bodies. The new protein drinks are currently available at Target stores and on Aloha’s website. It will be available on Amazon and at Harris Teeter, Publix, Hy-Vee, Albertsons and Safeway stores at a later stage.